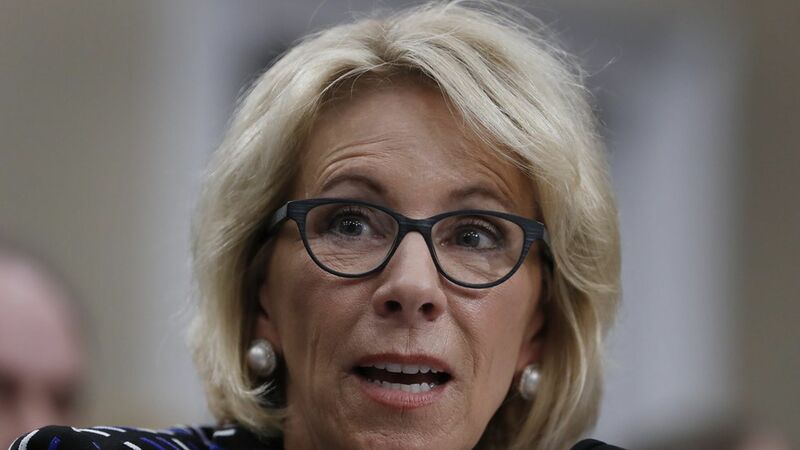 19 attorneys general sued Education Secretary Betsy DeVos Thursday, challenging her decision to scratch rules that would have erased students' federal loan debt if their colleges defrauded them, per AP. DeVos argued the rules created "a muddled process that's unfair to students and schools" and she wants a "regulatory reset." The rules suspended were to take effect July 1 and would have also barred for-profit colleges from forcing students to remedy issues outside of court through arbitration. Massachusetts Attorney General Maura Healey is leading the suit, and she claims DeVos "sided with for-profit school executives against students."